ooo i am totally down! That's awesome, Rae. I'm still working on cataloguing all my finds, lol. So much stuff... all under 20 bucks. Feel free to share the challenge with your readers too! I love doing stuff like this. I'm down to take the challenge, hitting up the dozens of thrift stores in town and being as discerning as possible. Tough with the high prices these days! That's great, Van. I knew you'd be down for this one. And same goes for you, if you want to get your readers involved in the $20 Thrift Challenge. Feel free to pass it on. I hear ya on the price issue. I lucked into some awesome finds. But I also had to use discretion. For instance, I spotted a lovely peacoat for winter that fit like a glove. $25! 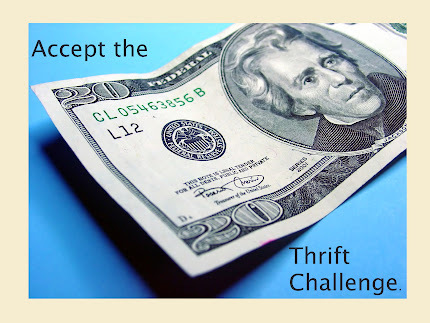 Oh heck no, even if I wasn't taking the $20 Thrift Challenge. That's far too much.